Are you going? I am and so is our future. Let us pray that America will support us in this day as we display our hopes and dreams for this country of ours. We are American, we pray that God guides all of us, that other Americans will join us in living out this country’s ideals. This year the organizers will feature the voice of American Islam’s future, our children. Today I listened to my students share their touching stories, thoughtful analysis, and hopeful messages. At times, we were moved to tears. This day will mean so much for them. They stepped up and amazed us. Congratulations to all the participants in the speech contest. We are proud of all of you. Masha’Allah! Insha’Allah I’ll be there. In this climate it is imperative. In France we are impresse of american muslim courage. 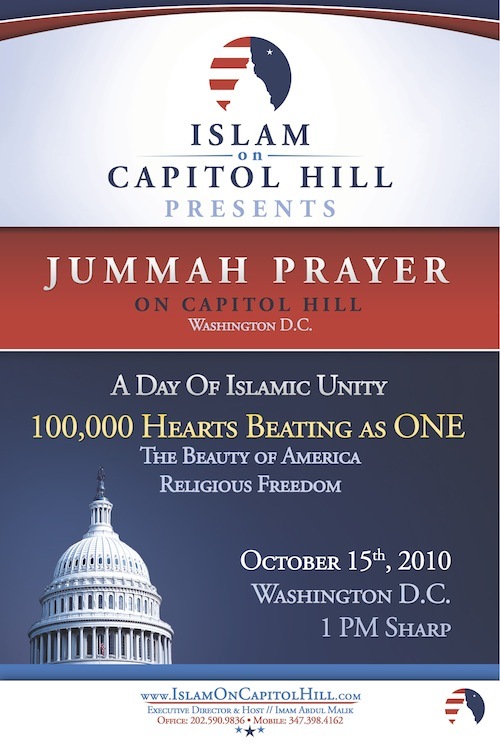 We followed the event of Islam on Capitol Hill and picture were very appreciated.